HMH Books for Young Readers, 9780544105775, 192pp. To say eighteen-year-old Farrah Higgins—or Digit—is good at math is a laughable understatement. She’s been cracking codes since childhood, and is finally at home with “her people” at MIT in Cambridge. Her talents are so off the charts that her laptop is under surveillance by both the CIA and an ecoterrorist named Jonas Furnis. So when she thoughtlessly hacks into the Department of Defense’s database, she lands in serious hot water inside and outside the law. Readers will be sad to turn the last page of this suspenseful, sassy, super smart thriller, the sequel to A Girl Named Digit. 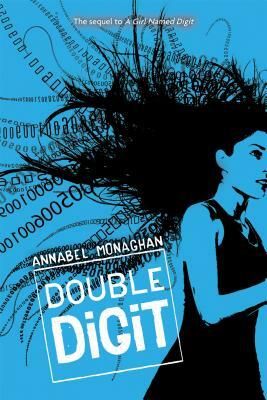 "Digit's first-person narrative immediately engages readers with low-key realistic scenes, insightful character portrayals, and amusing moments before ratcheting up the tension with high drama and action. A well-paced addition to the Digit series."